This review is about item#06913663. This review is about item#06913645. 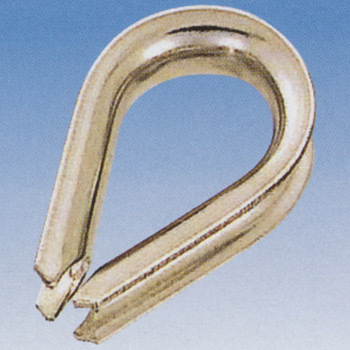 It is used to protect the terminal of the steel pole's stay rope. Since there is also a large amount of use, I am thankful that it will be cheaper at the same time in units of 10 pieces. It was used for wire rope termination processing. Although there was no problem with the product, I realized again that it is necessary to check properly before purchase because the size of D and the part of the stock shackles on hand are not slightly matched. The price is reasonable and good. I packed the paper all over in a big box and sent it. There are more paper. Just like the Amazon, tape on the bottom, paste it. It is also a small part so you can find parts that you have not looked for nearby home centers. There are things of various genres so there is nothing that is unlikely! I am satisfied very much because it is used by individuals! This review is about item#06913636. I used it when insect insect net was put up. Tags are attached to each item, it was troublesome to remove tags one by one. I'm happy to be able to buy it in units of 10 pieces.